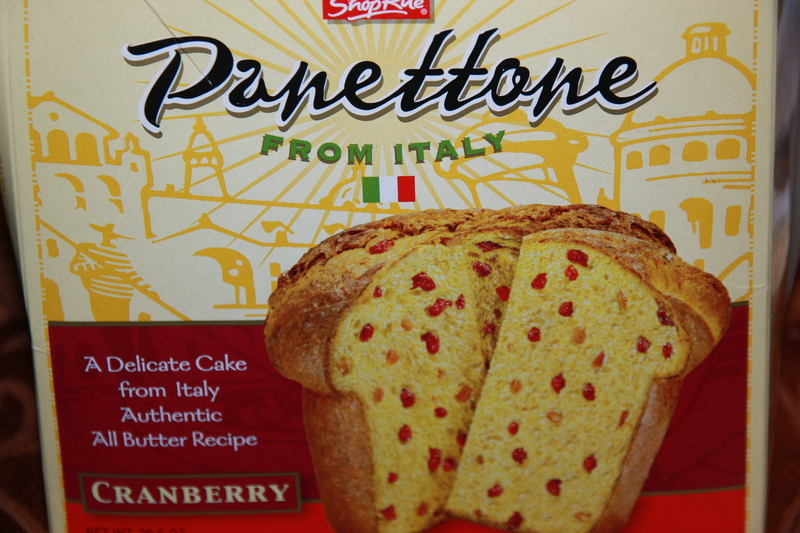 I had some cranberry panettone for breakfast and was amused that the box (purchased in New Jersey) called it an authentic recipe from Italy. Cranberries aren’t indigenous to Italy, and I’ve never been able to find them in any store. We had to bring our own can of cranberries for Thanksgiving last year so we could celebrate the holiday properly. Wonder if this version will ever gain popularity in Italy? This entry was posted in food, Italy and tagged cranberries, Italy, panettone, Thanksgiving. Bookmark the permalink.